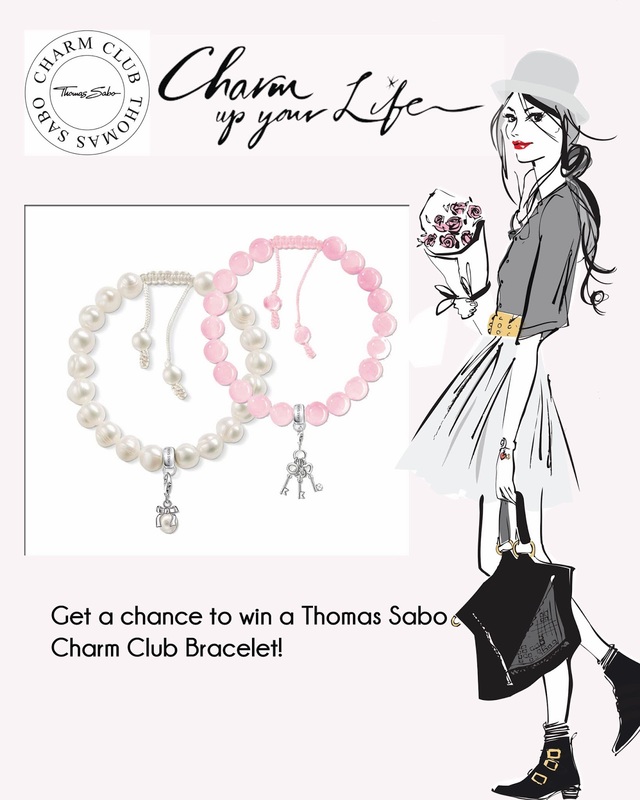 Charm Up Your Life With Thomas Sabo! Hi guys! I'm back. Midterms are over! That means... MORE TIME FOR BLOGGING! YAY!! and because I was gone for almost 3 weeks, Here's a giveaway for you all. If you guys are also one of my followers on Instagram, I'm sure you have already seen me post about Thomas Sabo. And If you guys also notice, I always wear 2 rings everywhere I go. One from Charriol which was given to me by Kyle, and One is my Thomas Sabo Rose Gold Ring. Ever since I discovered Thomas Sabo, I immediately fell in love with the store. When I was a kid, I remember being so obsessed with charm bracelets. And seeing it again at the store really brought so many good memories of my childhood. Because I honestly think that a charm bracelet can be a beautiful reminder of the greatest moments of your life! That's why, Thomas sabo and I are giving away 1 Fresh water pearl bracelet with a bow charm and 1 will get a Rose Quartz Bracelet with keys charm. Post a picture of the charm together with your answer on instagram don't forget to tag me and thomas sabo. @thomassaboph @danibarretto. There will be 2 winners, 1 will take home the Fresh water Pearl Bracelet with Bow Charm and then the other would get Rose Quartz Bracelet with Keys Charm. Will announce the winners on November 23 Via twitter.